Commerce's Economics and Statistics Administration (ESA) today released a report on Women-Owned Businesses in the 21st Century that analyzes the changing role of women-owned businesses in the U.S. economy. The report, prepared at the request of the White House Council on Women and Girls and released today during a White House Entrepreneurship Conference, looks at trends in women-owned businesses from the late 1990s through 2007, explores the characteristics of businesses owned by women as compared to those owned by men, and discusses potential reasons why these firms look different. “Here’s the good news: women-owned businesses are steadily expanding and now account for $1.2 trillion in economic output,” said Commerce Department Under Secretary for Economic Affairs Rebecca Blank. “Considering the recent economic environment, this growth shows the important potential of women-owned businesses for future economic growth.”Between 1997 and 2007, women-owned businesses grew by 44 percent – twice as fast as businesses owned by men. 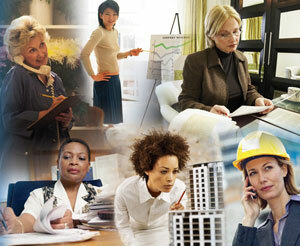 Yet on many other measures, women-owned businesses continue to lag behind. Small businesses are the engines of job creation, and with the recent passage of the Small Business Jobs Act, the Obama administration is providing critical support to small business owners and reinforcing its commitment to a business environment that fosters job creation and economic growth. Submitted on October 22, 2010 - 1:32pm. I would like to start a clothing store how do I get a grant to start? Submitted on October 26, 2010 - 11:50am. Submitted on February 16, 2011 - 11:29pm. Will you please tell me who we should contact for National Certification of our Women / Minority owned business? Thank you. Submitted on March 3, 2011 - 1:23pm. This is the best place to start.